Separate mint leaves from stems of the four sprigs. 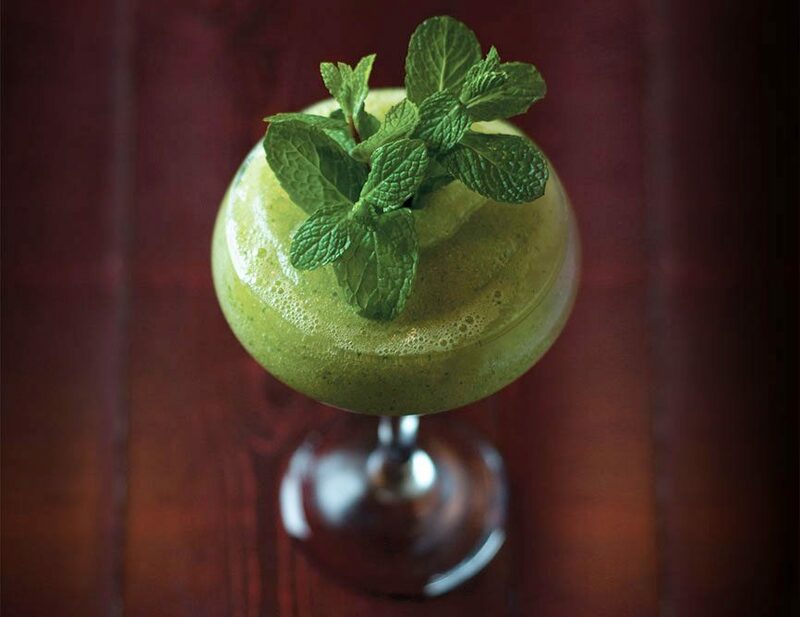 Add the mint leaves, white rum, peach brandy, lime juice, honey syrup, mint to a blender with crushed ice and blend until smooth. 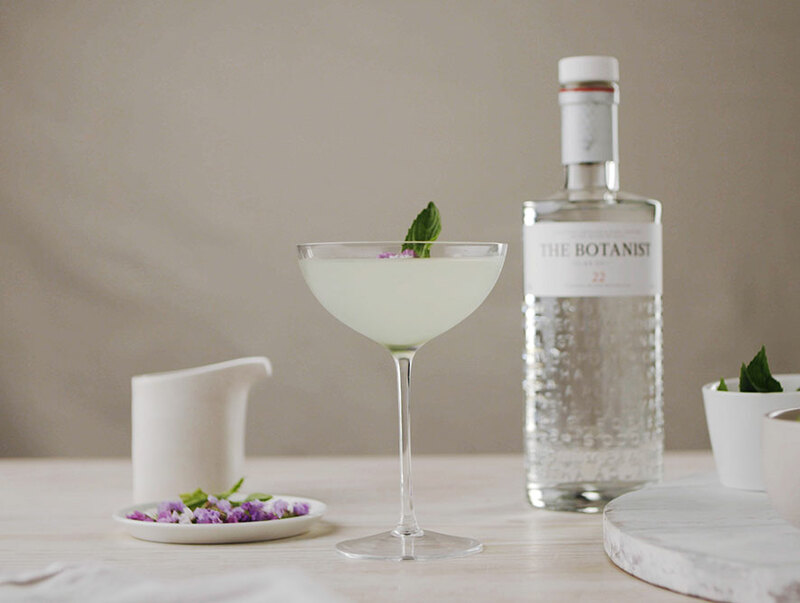 Pour into a coupe, and garnish with a mint sprig. To make honey syrup, gently heat 3 parts honey to 1 part water in a saucepan over medium heat, stirring to combine, then set aside to cool.